Over the course almost an eight week period at the end of the year, homeowners are usually frantic about cleaning services for the holiday. After all, this is the time of year when you open your home to all manner of friends and family, who come to town to celebrate and, surely, to evaluate your housekeeping. It’s not an uncommon concern. We all have visions of holiday perfection for our homes, but beyond the garlands and nutcrackers and a reasonably upright tree most of us fail in our pursuit of perfection in all things clean before the guest come. Homeowners prefer to see every aspect of their own pristine and clean. This includes everywhere including the floors. Stone has become the preferred flooring. Generally, homeowners maintain their upkeep. However, during the holidays, most homeowners want their floors to look new. This of course, usually derived by the pressure of the holiday guest expectations. Floor Restoration companies are usually deluged with calls from fanatic homeowners who need there floor restored immediately. Unfortunately, most companies’ rush to get the business and their work appeared the same “rushed”. At Modern Stone Company. We take the time to carefully restore your floors, no matter how difficult. How technicians are artisans at restoring and cleaning your floor with great attention to detail. We have prepared for the holiday rush and have crews ready to take care of you your needs. 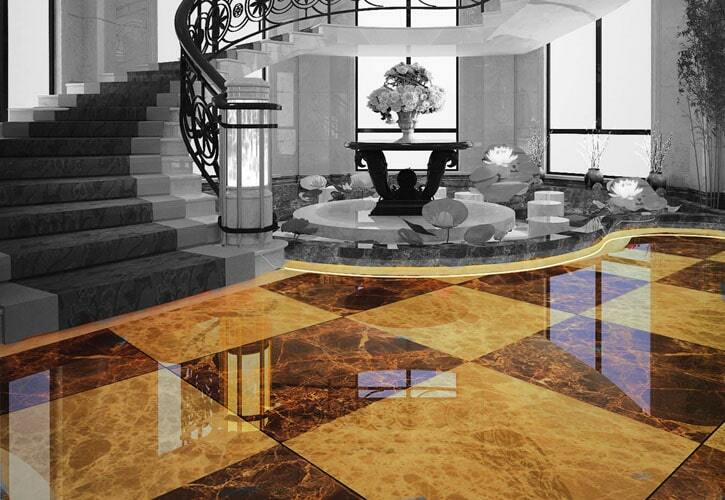 We specialize in travertine, limestone, marble, granite and slate cleaning and restoration. We are also the experts on tile and grout cleaning. Our work is done timely and non disruptive to your home.